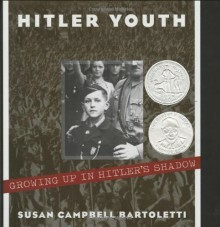 In her first full-length nonfiction title since winning the Robert F. Sibert Award, Susan Campbell Bartoletti explores the riveting and often chilling story of Germany's powerful Hitler Youth groups. "I begin with the young. We older ones are used up . . . But my magnificent youngsters! Look at these men and boys! What material! With them, I can create a new world." --Adolf Hitler, Nuremberg 1933By the time Hitler became Chancellor of Germany in 1933, 3.5 million children belonged to the Hitler Youth. It would become the largest youth group in history. Susan Campbell Bartoletti explores how Hitler gained the loyalty, trust, and passion of so many of Germany's young people. Her research includes telling interviews with surviving Hitler Youth members.